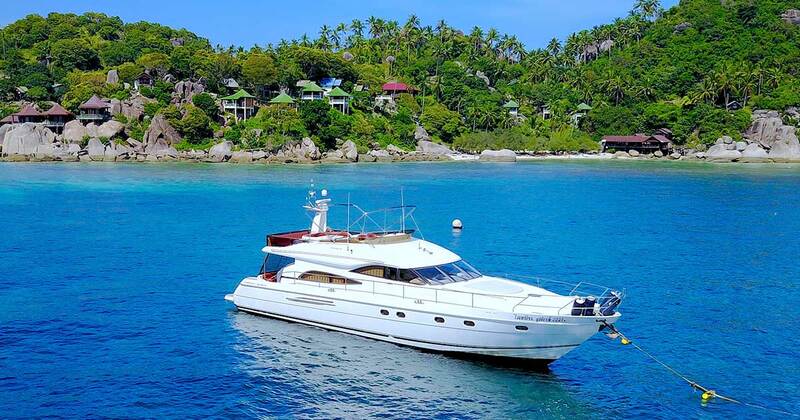 The Princess 65 is one of the most luxurious Yachts in Koh Samui which can accommodate a large group up to 20 people and overnight 8 people. 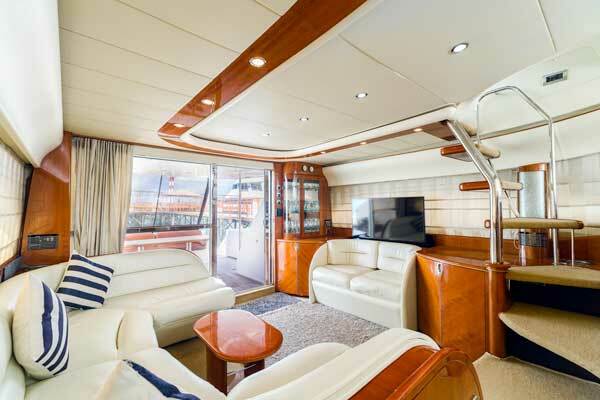 One of the best feathers of the Princess 65 is the fly bridge, which offers you the sea breeze under shade. The long bow is the perfect place to relax and unwind for the sun lovers. The dive Platform is great for making life easy to climb back on board. The air condition lounge has great seating to relax out of the sun with a full entertainments system. Including TV and Blue tooth Stereo. 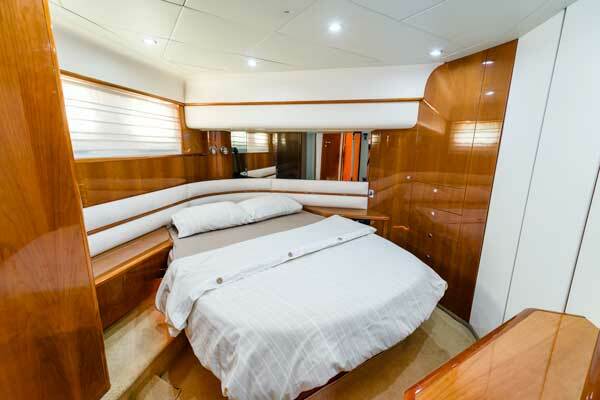 The western style galley is fully functioning and great cold storage for drinks. Down below there are 4 air-conditioned cabins. A master with en suite facilities, 1 double, 1 twin en suite and 1 twin room. Minibus Transfers for up to 10 guests, Fresh fruit & snacks, soft drinks and cool beverages, snorkeling and fishing equipment. 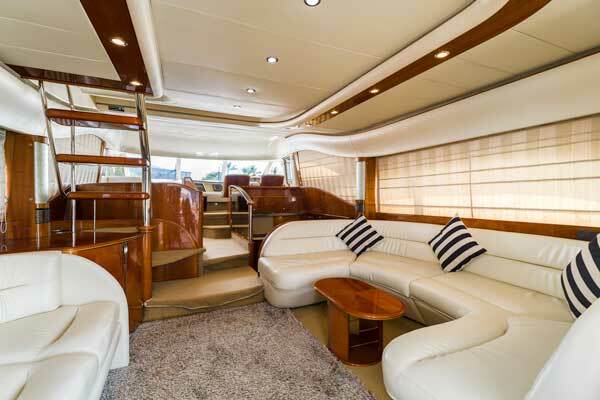 Available on Full day, Half Day and Overnight private charter basis.